If you are a disabled veteran or the surviving spouse or registered domestic partner of a veteran, you may be entitled to exempt a portion ($21,385.89 or $25,664.51 for 2018-19) of your homestead property's assessed value from property taxes. The exemption amount increases by 3 percent each year. The exemption is first applied to your home and then to your taxable personal property. If you are an Oregon resident and a qualifying veteran or a veteran's surviving spouse/partner and live in your home, you may file a claim and receive the exemption. 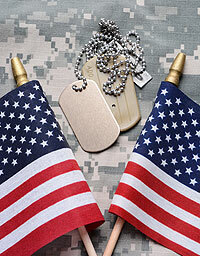 Veteran exemption information is found on the Oregon Department of Revenue website. Provided below are the links for your convenience. For more information, contact Taxation or call 541-774-6541.